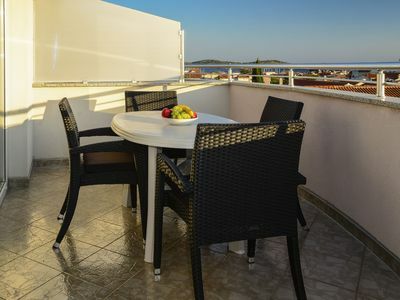 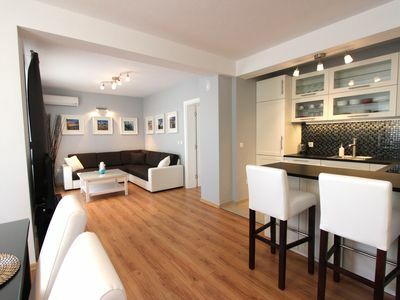 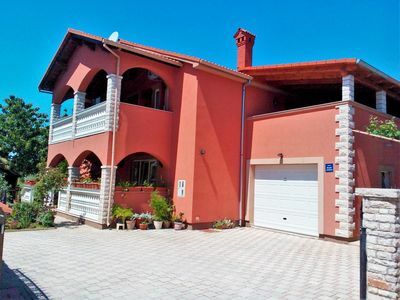 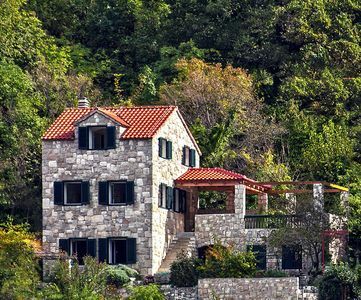 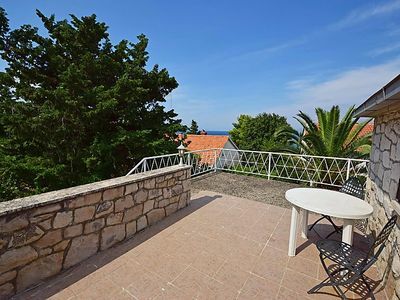 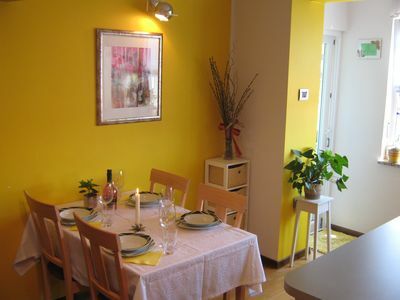 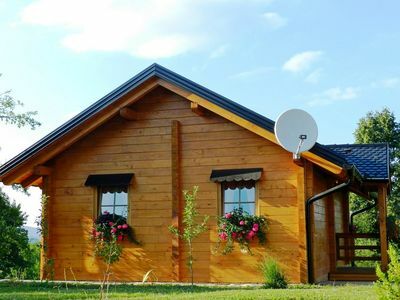 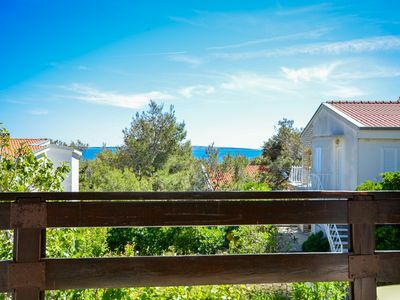 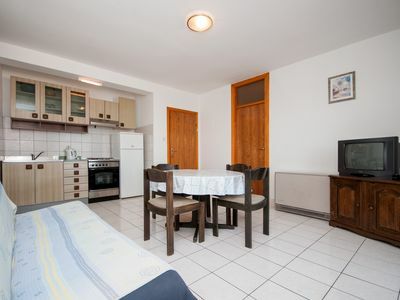 Apartment Mimi is located in the city of Zadar, in the upscale and desirable area of Diklo. 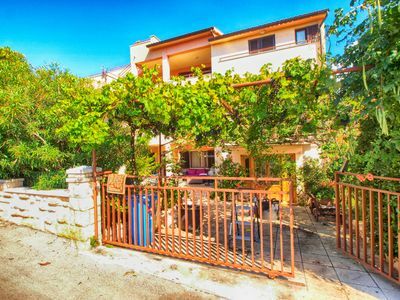 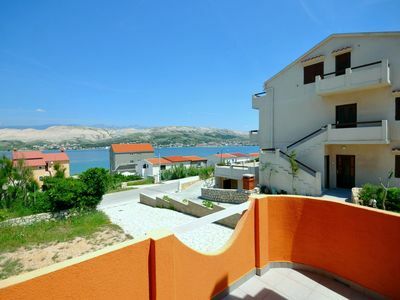 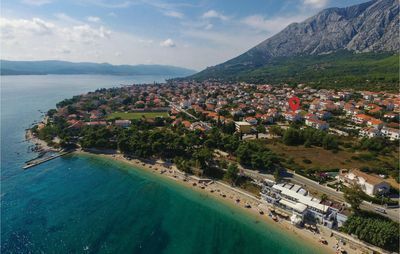 The unit is roughly 400 meters from the nearest beach, 2.5 km from the city center and is in a great area of Zadar. 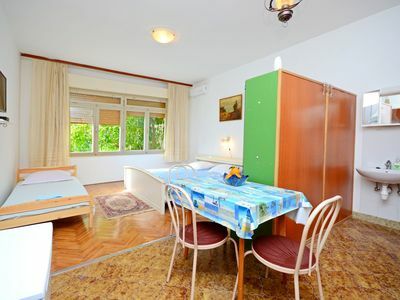 The unit is 70 sq. 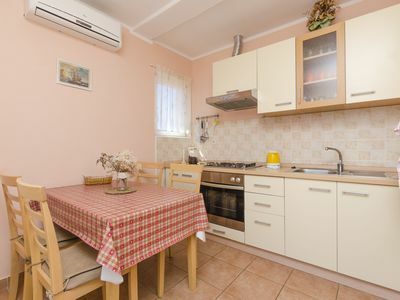 meters and features 2 bedrooms, 2 baths, with a washing machine and clothes dryer, a fully equipped kitchen which includes: dishwasher, oven, stove top, microwave, full-sized refrigerator and freezer, coffee maker, toaster, etc., a large dining area which seats 6 and a place for 2 at the bar. 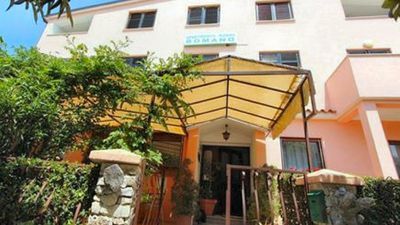 The living room has a large flat screen TV with cable TV channels (MaxTV), there is free WIFI throughout the unit- the signal is excellent. 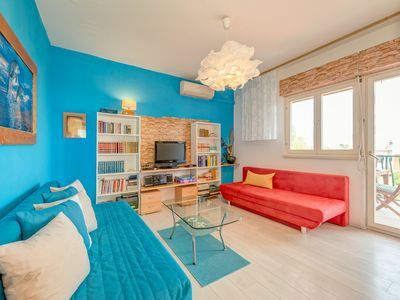 The corner sofa features a full pull-out bed and air-conditioning. 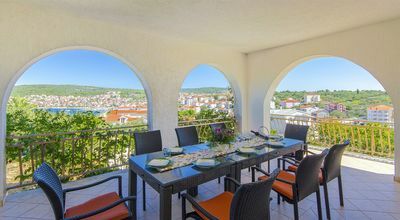 Attached to the living room and dining room is a private balcony and private full-sized yard with sea view. 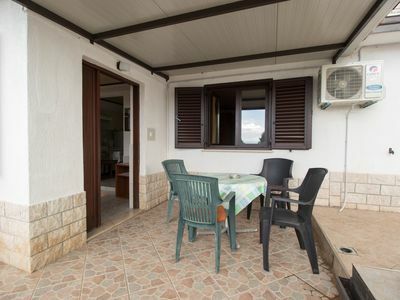 The yard has outdoor seating and a BBQ. 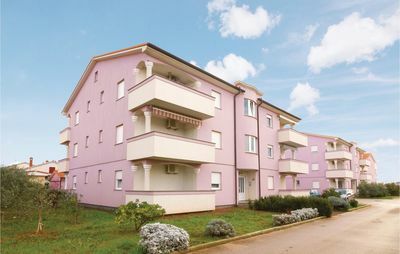 The unit provides a free parking space.